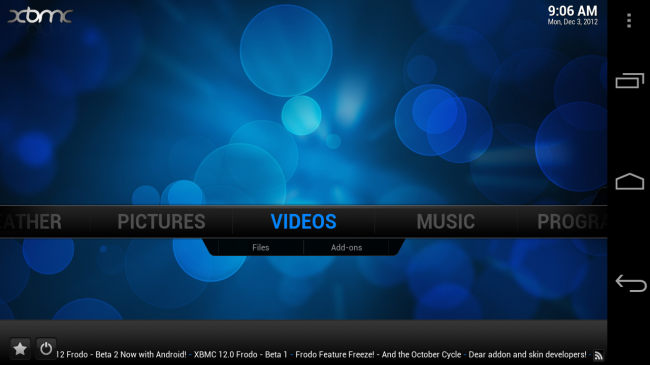 Late last night, the development team at XBMC released the second beta for their application that brings a lot of bug fixes, and console controller support. For anyone using an Xbox 360, you can now use your controller to control the application, which is sweet. To top it off, they have fixed some audio issues, along with some other bugs that users submitted from the first beta. The download link is below, so try it out and let the team know how it is.